Opportunities to Join Our 100% Volunteer Team May Exist. …please contact us at wcfood@gmail.com. Sorry, we cannot provide community service opportunities. …because no one should go hungry! The West Chester Food Cupboard is a 501(c)(3) nonprofit corporation, donations to which may be tax deductible to the extent allowed by law. 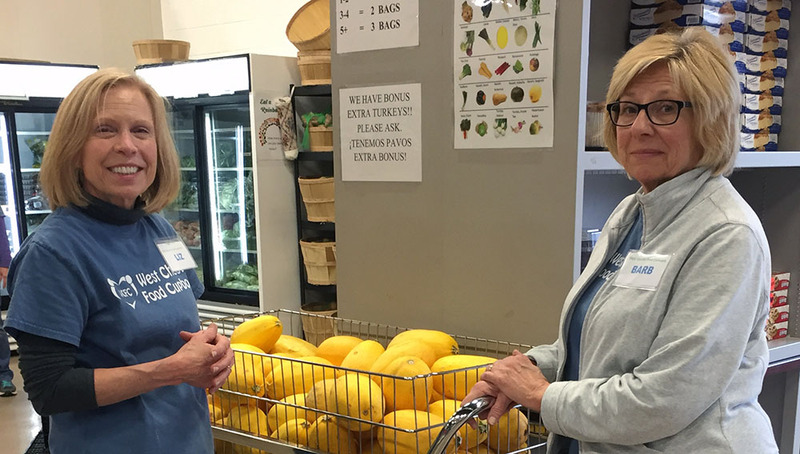 The official registration and financial information of the West Chester Food Cupboard may be obtained from the Pennsylvania Department of State by calling toll-free, within Pennsylvania, 1-800-732-0999. Registration does not imply endorsement.